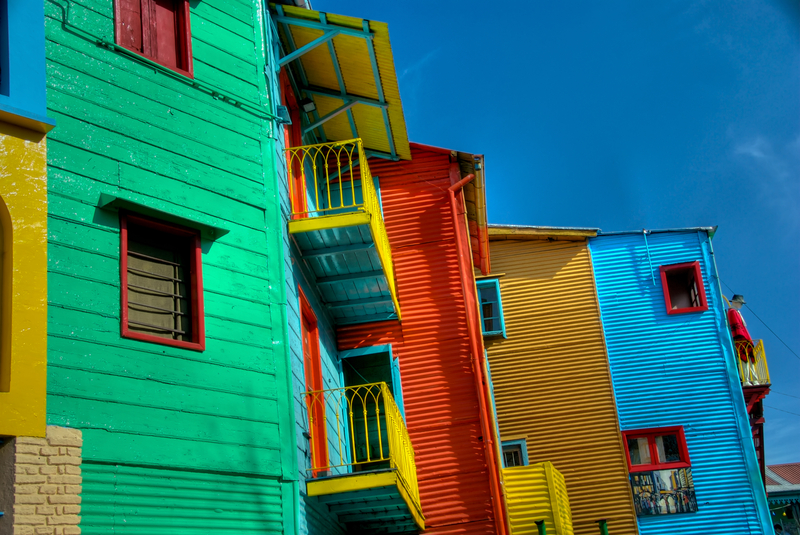 October is a much anticipated month in the Latin American travel calendar, one that showers a kaleidoscope of colour throughout the entire continent. As the Amazon dries up after lusciously rainy months, you’ll enjoy your cruise or lodge-based stay with far fewer mosquitos for company, a little added bonus many critter-adverse cherish love. In Central America, on the contrary, it’s low-tourist season as rains continue, yet if you know where to go you could have an incredibly unique experience nonetheless. If you have more time and hare happy to put with a few rains in return for greater value for money, Central America can be a real gem at this time of year. 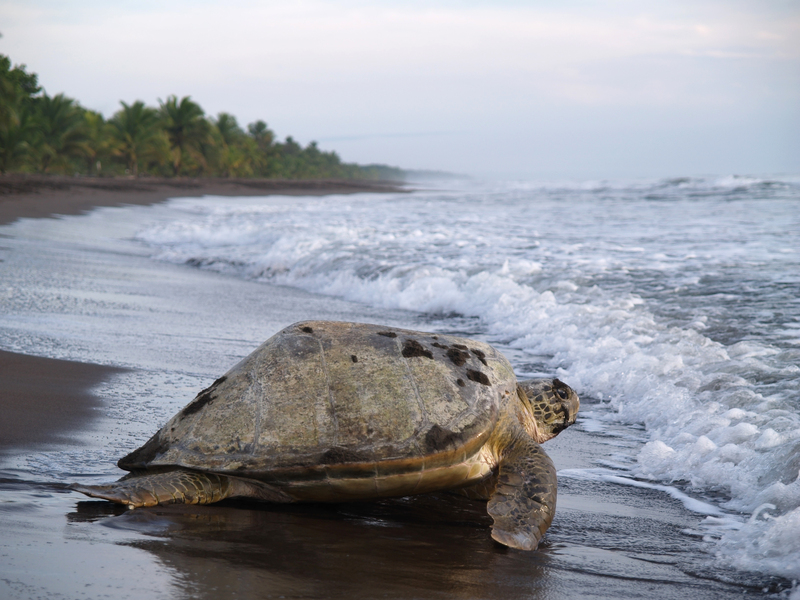 Major turtle nesting events, in Costa Rica in particular, draw animal-loving crowds from all over the world in October. Yet the most glorious climatic events happens south…way south. As Patagonia and Antarctica prepare for the start of their high-season, you’ll find both destinations incredibly idyllic to explore. 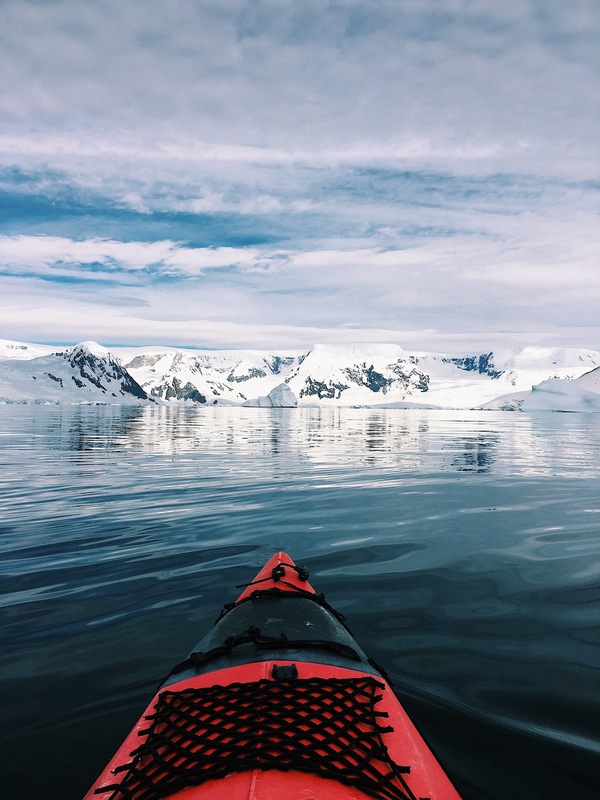 In October, you’ll be among the first Antarctic cruise passengers to cross the Drake Passage and set foot on the untouched icy shores of the big White Continent. And if a road trip through Patagonia is on your wish list then plan with abandon. October brings a breathtakingly colourful transformation to what is, without doubt, one of the most scenic regions in the entire continent. Ready to rock on October? Bring it on! October continues to bestow generous downpours all over Central America yet even though this does restrict some types of travel to some regions of some countries, it would be false to say the entire region should be considered off-bounds. You just have to know where to go! In Costa Rica, for example, splendid and remote Corcovado National Park– as well as all the Pacific side – might still be heavily affected by rains, which can wash out roads and hiking tracks with abandon. However, this is exactly the right month of year to visit the Caribbean side of the country, the one that normally receives more rain than any other region, at any other time of year. In the first two weeks of October, Tortuguero National Park hosts arribadas, one of Mother Nature’s most magical treasures. Arribadas are mass turtle nesting events, the kinds that see thousands of turtles come ashore, all at the same time, to lay eggs on their favourite beaches. Tortuguero is one of very few places on the planet where you can witness this, and October, one of the best months of all to see Green and Hawksbill turtles play out their astonishing nesting ritual. 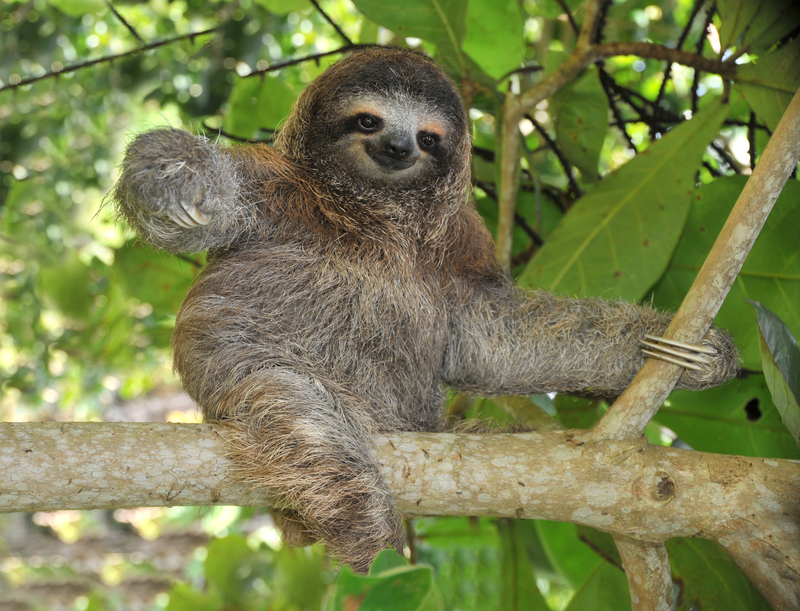 Want to know how to visit one of the remotest national parks in Costa Rica? Check out our itineraries ideas and ask us about bespoke tours. The Amazon Rainforest isn’t affected by seasons like the rest of the continent with the main differences pertaining to water levels, which fluctuate throughout the years. So even though October does mark the end of the ‘dry’ season, the main implication is that it’s the last month of the year when river levels will be remain low, facilitating extensive explorations on foot. This, coupled with lower humidity levels, slightly cooler temps and less insects out and about, makes October quite the ideal month to visit, especially if you’re more of a doer (and a walker) rather than a visitor who’s happy to explore only by boat. As hiking in rain season in this incredibly luscious terrain translates to arduous slogs on muddy and slippery ground, we always recommend you book your Amazon tour in dry season if you wish to hike extensively and rain season if you prefer to cruise extensively, instead. What’s your preferred way to experience the mighty Amazon Rainforest? Check out all our tours and decide! From one of the wildest spots in Latin America to one of the most modern: October offers you a world of fantastic possibilities. Visit Buenos Aires, the exciting and always vibrant Argentinian capital, and you’ll discover this beautiful city cloaked by a blanket of bright jacarandas in glorious bloom. Spring in BA is a superb time to visit, with mild temps and vivid foliage making long days of sightseeing (feasting and shopping) incredibly enjoyable. Crystal clear and sunny skies are the usual October delights, with temperatures being more than a little perfect, so if you’re using Buenos Aires as a springboard for further exploits do make sure you include a stopover of a few days, at the very least. You’ll find great accommodation deals as well, as the great majority of international tourists won’t start arriving until mid-December. Need another reason to make a stopover in Buenos Aires a priority? October is also a particularly great month to visit Iguazu Falls (one of South America’s BIG Five) as it also happens to be in between high tourist seasons. Easily reached via direct flights from the Argentinian capital, Iguazu experiences milder temps and smaller crowds in October, as well as lower accommodation prices to boot. Mesmerizing tango shows, fantastic food, fabulous shopping and plenty of cultural and historic delight: stopovers in Buenos Aires offer you a great taste of all this country has to offer. Encompassing extensive regions of both Chile and Argentina, the Lake District of northern Patagonia is one of South America’s most mesmerizing highlights. Comprising sapphire-hued lakes, ancient pine forests and stunning Alpine landscapes brimming with waterfalls, volcanoes and insanely picturesque valleys, the Lake District is one of the most magnificent regions in the entire continent. And you know what? It is simply P.E.R.F.E.C.T. to visit in October. Unlike the southern icefields of Patagonia, the Lake District has well and truly thawed out by now, exploding in a luscious cover of verdant green and sparkling blues, whilst the higher peaks will still be covered by a generous sprinkle of snow. This is a dreamy landscape at any time of year, but as it is best explored by road, and with time and sunny skies, you’ll want to take advantage of the spring season. Mountain resort towns, great food, interesting history, wildlife and splendid scenery abound, so take a two-week road trip and explore both sides of this remote and heavenly place. 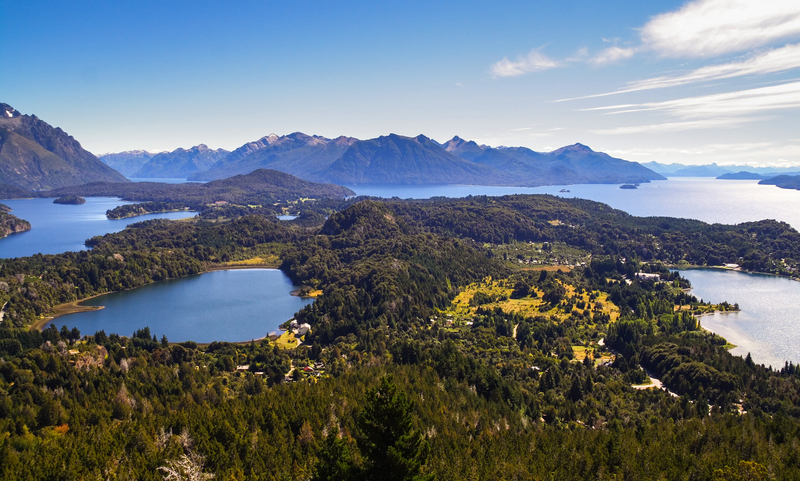 The major ports of call in this region are Bariloche, San Martin de los Andes and El Bolson (in Argentina) as well as Puerto Montt and Pucon in Chile. If you’re a lover of out-of-this-world visual feasts, check out tours of the Lake District for more sensational inspiration. Bar an unusually cold winter, October should see the first Antarctica cruises departing from Ushuaia, right at the southern tip of Patagonia. This is inarguably the most anticipated event of the most anticipated month in the whole continent and will attract an array of exited adventurers keen to be among the first people to walk on freshly-laid snow in the spellbinding Antarctic Peninsula. Cruising season will run for the next 5 months or so and although the best time to travel to Antarctica is always a subjective matter, October suits those who don’t mind taking the (small) risk of restricted explorations (if ice has yet to melt extensively) and frosty temperatures, in return for exploring what will essentially be a unspoiled landscape. Early season cruising also comes with a lower price tag (when compared to December and January) and this may be quite an important benefit for some. October cruises to Antarctica: the best entrée of the year! October is one of the year’s most transitional months in Latin America and, among all the above-mentioned highlights, there are lots more worth considering. Because no matter what time of year you travel to Latin America, you’ll always have a treasure trove of excellent destinations to discover. Is your dream-destination not on this list? Why not contact us and ask us for more details? Together, we’ll plan a tailor-made itinerary that’ll take into consideration your most important factors, including weather, time constraints, cost and availability.